A 60mL alcohol based clear gel hand sanitiser with moisturiser and Vitamin E.
You will love these as a giveaway item. 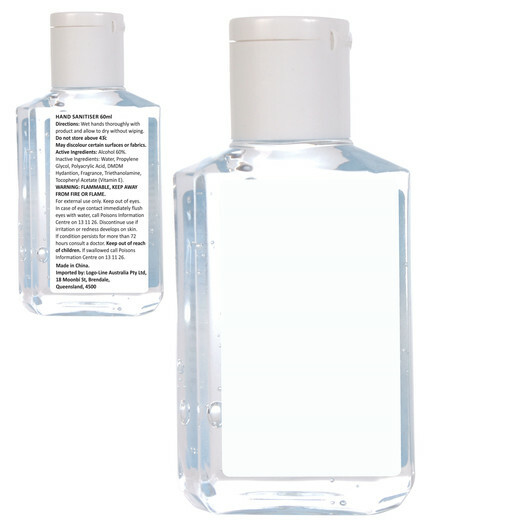 They contain 60mL of alcohol based clear gel hand sanitiser with moisturiser and Vitamin E in a clear plastic squeeze bottle. 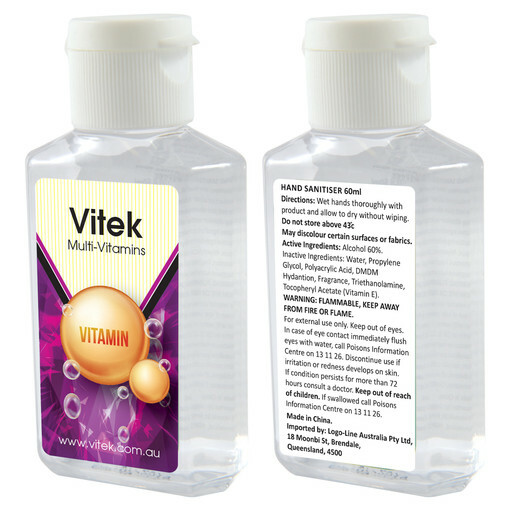 The gel is made from 62% alcohol content and will kill most germs and leave your hands feeling rejuvenated and clean.